Look for stalked glands on the main stem of the inflorescence produced by Vermont blackberry. This northern species is found mainly in states along the Canadian border. The berries provide food for birds and mammals. stems extensively trailing, the first-year vegetative stems with leaves usually with 3 somewhat evergreen leaflets that are obtuse to acute at the apex (vs. R. vermontanus, with the stems upright to arching and sometimes trailing near tip, the first-year vegetative stems with leaves that have usually 5 deciduous leaflets that are acute to acuminate at the apex). stems armed with hairs and bristles only, collectively numbering 600-5000 per 10 cm of stem (vs. R. vermontanus, with stems armed with bristles and small-based prickles, collectively numbering 10-500 per 10 cm of stem). 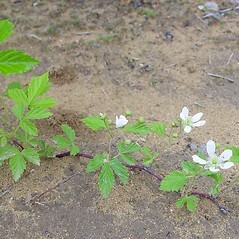 Rubus vermontanus var. viridiflorus Blanch. Vermont blackberry. 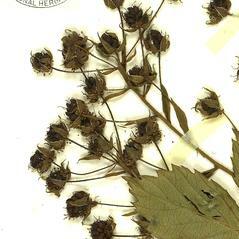 Rubus deaneanus Bailey; R. junceus Bailey; R. singulus Bailey; R. tardatus Blanch. ; R. vermontanus Blanch. var. viridiflorus Blanch. • CT, MA, ME, NH, RI, VT. Fields, roadsides, forest borders, balds, open rights-of-way. 1×28. Rubus allegheniensis × Rubus vermontanus → This rare blackberry hybrid is known from ME, NH, VT. 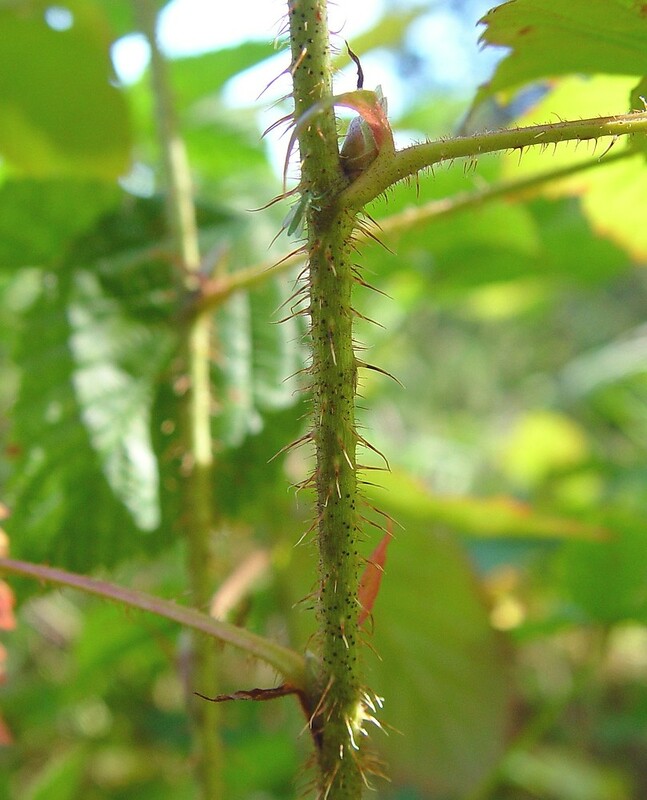 It is marked by arching habit, stems 3–5 mm in diameter armed with slender prickles that are shorter and thinner than is typical for Rubus allegheniensis and often stipitate-glands as well. 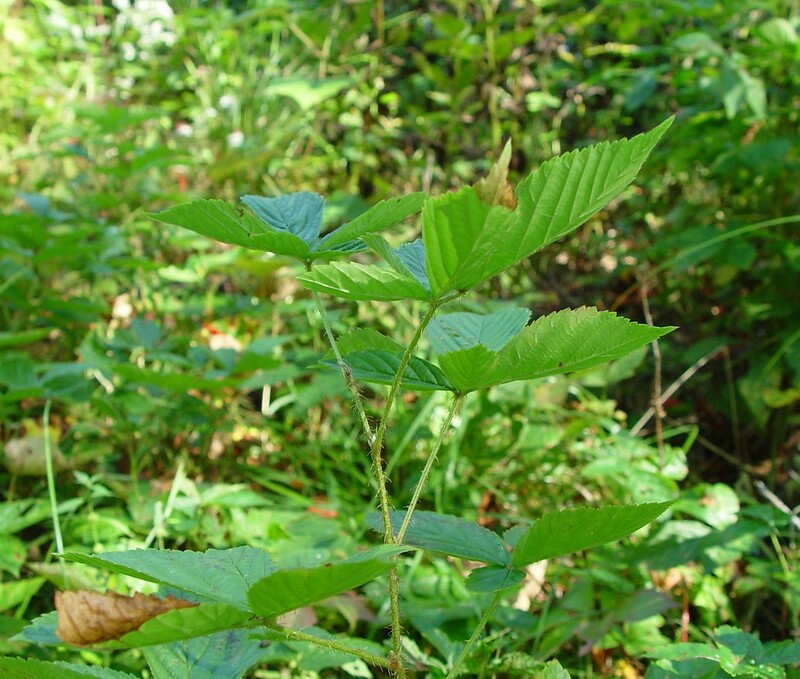 The leaves are pubescent abaxially and the inflorescence is shorter than normal for R. allegheniensis with stipitate-glands along the axis. The fruits are also smaller than typical for R. allegheniensis. 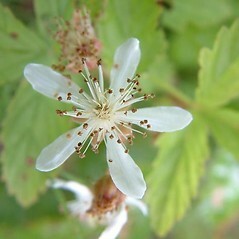 Tentative synonym: Rubus ravus Bailey. 10×28. Rubus elegantulus × Rubus vermontanus → This very rare blackberry hybrid is known from ME, NH. It is very difficult to detect due to the close morphological similarity of the two parental taxa and is likely more common than is currently vouchered. Knowledge of the two species occurring at the same site is important information for detecting most of the occurrences. Tentative synonym: Rhus multilicius Bailey. 14×28. Rubus hispidus × Rubus vermontanus → This uncommon blackberry hybrid is known from MA, ME, NH, VT. 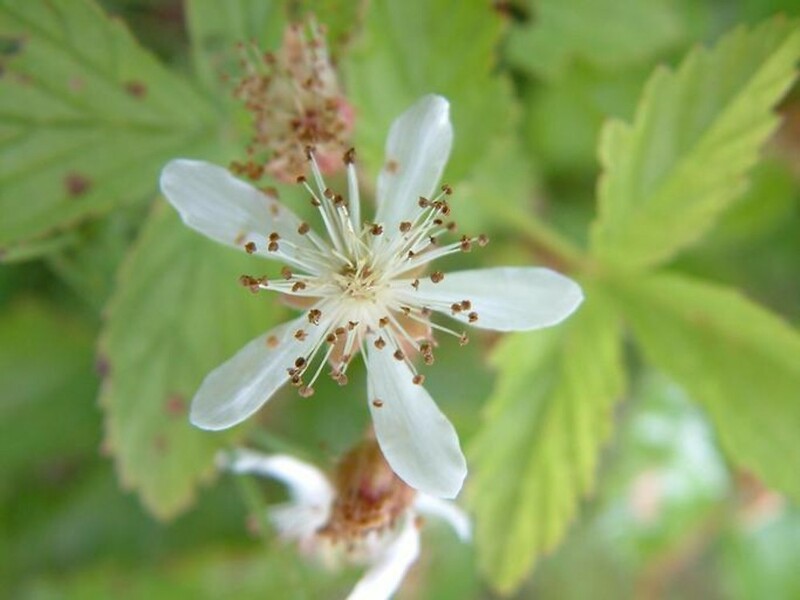 It closely resembles Rubus hispidus ×R. setosus but has some prickles that are slightly more stout and curved (in addition to the numerous bristles and stipitate-glands). Tentative synonym: Rubus viridifrons Bailey. 22×28. Rubus pensilvanicus × Rubus vermontanus → This rare blackberry hybrid is known from ME. It is marked by erect to arching primocanes with numerous small-based prickles (ca. 200 per 10 dm), and lacking stipitate-glands with relatively glabrous abaxial leaf blade surface, and with short racemes (2.5–5 cm long) that lack stipitate-glands. Tentative synonyms: Rubus miscix Bailey; R. peculiaris Blanch. 25×28. 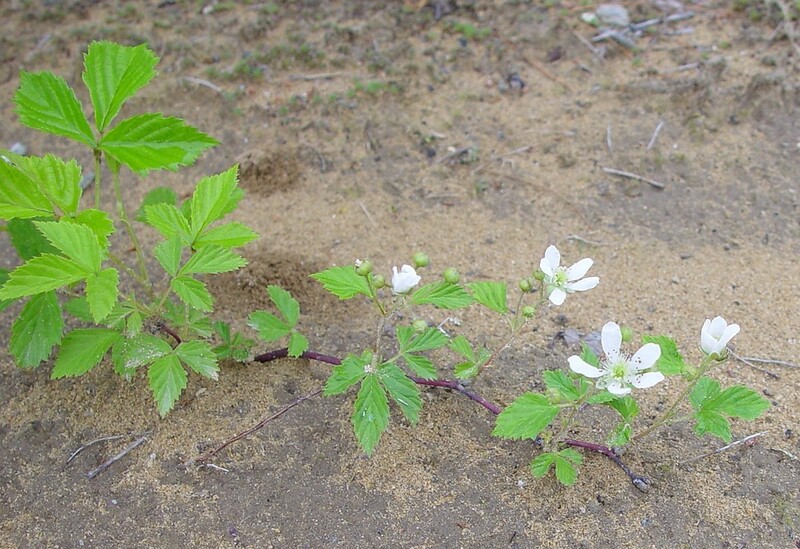 Rubus recurvicaulis × Rubus vermontanus → This rare blackberry hybrid is known from MA, ME, NH. It is marked by primocanes with arching or doming habit, glabrous and chartaceous leaflets, stems armed with numerous sharp, slender, straight or hooked prickles. Tentative synonym: Rubus severus Brainerd ex Fern. 26×28. 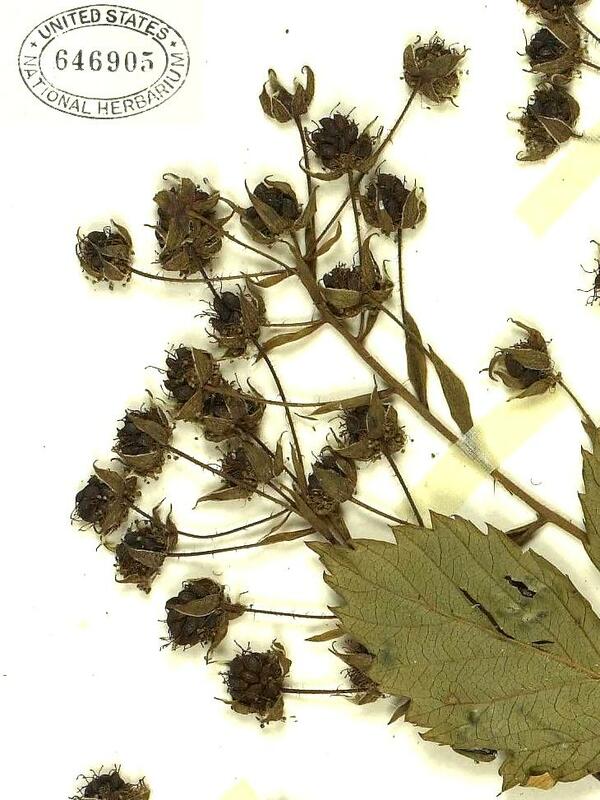 Rubus semisetosus × Rubus vermontanus → This rare blackberry hybrid is known from ct, mA. 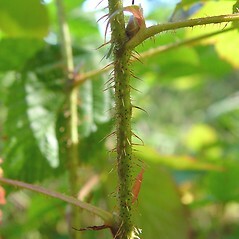 It is similar to Rubus semisetosus, but the pubescence is much less dense and mainly present on the principal veins. 27×28. Rubus setosus × Rubus vermontanus → This uncommon blackberry hybrid is known from CT, MA, ME, NH, VT. 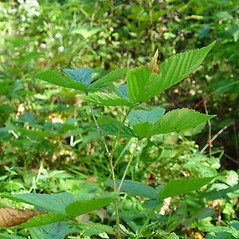 It is similar to both Rubus setosus and R. vermontanus. The stems are armed with stipitate-glands, bristles of various lengths, and some slender-based prickles that are relatively rigid, collectively numbering 1000–3000 per 10 cm. Very difficult to separate from R. elegantulus ×R. setosus without knowledge of parental species present at the site (though the latter hybrid usually has fewer prickles and bristles). Tentative synonyms: Rubus groutianus Blanch. ; R. parlinii Bailey; R. univocus Bailey.